I have a lovely Etsy shop that I'd like to share with you today. It's called Purple Lamb. 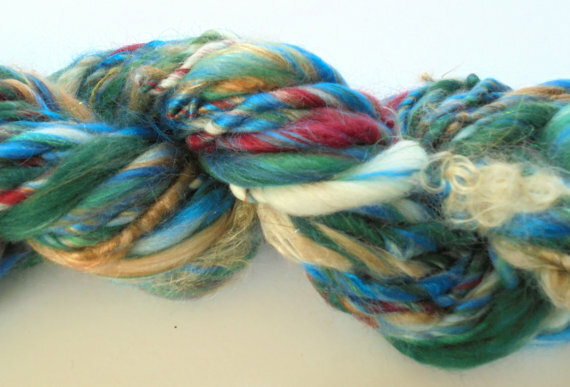 This shop specializes in handspun & hand-dyed yarn, art batts, roving, and even some artisan pieces. Each skein of yarn is handspun by Carla. 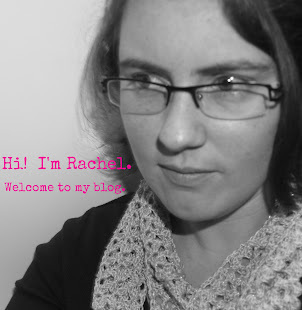 (I have to say, I was incredibly fascinated by her spinning blog post. It's certainly worth a look.) Purple Lamb has been on Etsy for a while and has a five star rating -- always a good sign when you're looking for a new little yarn shop. Visit Purple Lamb on Facebook. 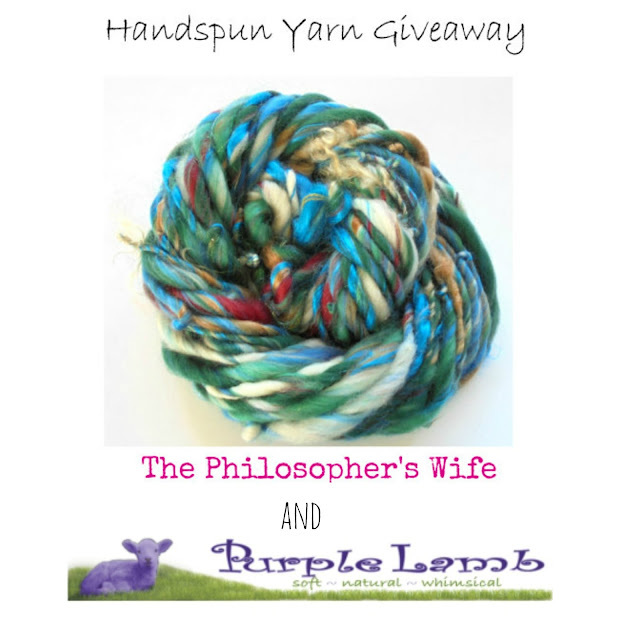 One lucky winner will receive this incredibly unique yarn. Washing Instructions: Wash in cool water by hand and air dry. You can see the reserved listing on Etsy right now. This is a great colorway for Christmas! You could easy make a quick gift to give, or make yourself something festive for the holidays! (I'd love to see whatever you make!) This yarn could be an eye catching accent on a larger project, or could make a lovely neckwarmer, or maybe some earwarmers. Important Information: One winner will be randomly selected using the Rafflecopter random selector and notified via email. Once notified, the winner will have 48 hours to respond or a new winner will be chosen. This giveaway is in no way associated with Facebook, Twitter, Instagram, Pinterest, Google, or any other social media. Void where prohibited. The Philosopher's Wife is not responsible for prize fulfilment or shipment. US only. Must be 18+. Yarn photos are from the Purple Lamb Etsy shop, and are used with permission. I LOVE the chunky hand-spun "Sea Nymph" yarn. The blues and purples are gorgeous! I like the purple haze. Thank you Rachel, and thank you, Amber, for your comment too. My Sea Nymph yarn is one of my own favorites. My favorite is the RENAISSANCE Festival bulky handspun, the colors are beautiful! I'd like to have some Hand-Painted Boucle Yarn - PRIMAVERA to play with. I like the concord one. It is colors I like. I would love this in a scarf. Oh the yummy wool colors, and keep you so warm. Your face would light up everytime you had it on. I love the Above the Clouds super bulky! oh to have that in a worsted weight!!!! I love the Renaissance Festival color combo. Hmmm. . . to make something for Saint Patrick's Day! Very lovey yarn and thanks for the chance to win! There are several colors that caught my eyes. But my favorite is AFRICA 2.0. The color combination is beautiful! So pretty and nice of you! 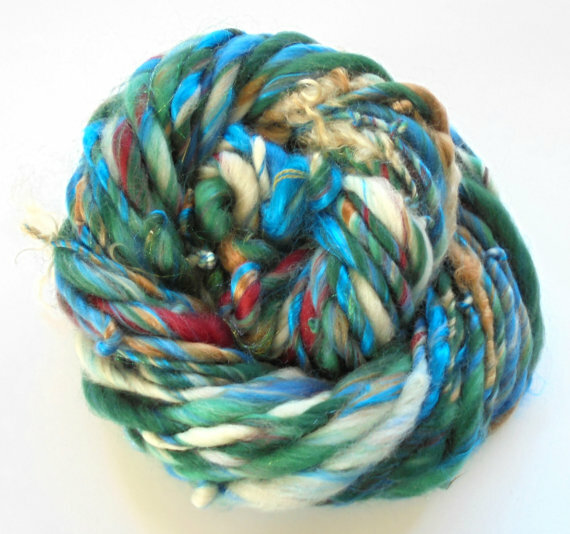 I love Handspun Yarn - EPIPHANY in the shop! The Beaded Handspun Yarn - MOUNTAIN SHADOW, gorgeous colors! Love it! My favorite yarn is the Soft Handspun Yarn - MOONLIGHT - merino, alpaca, bamboo, silk, angelina 2-ply handspun - 4 oz and 181 yards - worsted weight yarn! I like Renaissance Festival! So beautiful! I really like the Sailing Away soft art batt. I love the renaissance festival - Bulky Handspun Fractal Yarn! The art batts take my breath away, but for yarn, Bouquet stands out for me. My favorite yarn is the Madonna and child! The Rose Petals hand spun silk yarn is really pretty. There are some very pretty shades of blue as well. I love the RENAISSANCE FESTIVAL - Bulky Handspun Fractal Yarn - 3.7 oz & 90 yards. Boo hoo. RC isn't working for me today. Just says "aw shucks, we didn't get your entry, please try again"
Thanks for the awesome giveaway though! :-) Very nice of you! 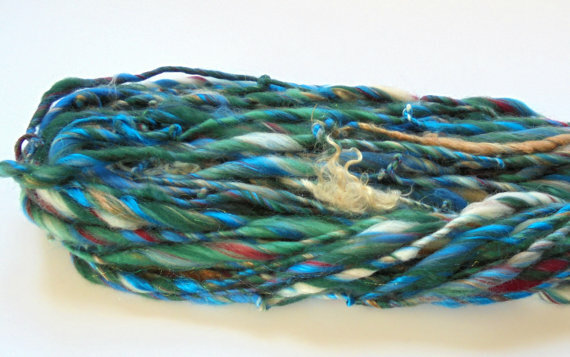 I love the RENAISSANCE FESTIVAL - Bulky Handspun Fractal Yarn - it is so pretty. I think the Stormy Weather yarn looks intriguing. Would love to try this. STORMY WEATHER - Soft Luxury Art Batts.